Photo by Nathan Sayers for Pointe. This is Pointe's August/September 2017 Cover Story. You can subscribe to the magazine here, or click here to purchase this issue. 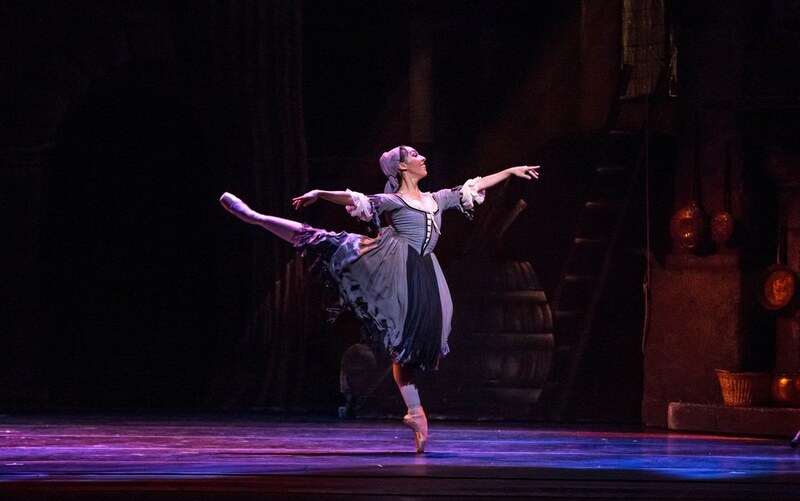 With her sunny spirit and unaffected charm, Joffrey Ballet dancer Amanda Assucena is often cast as innocent characters like Marie or the Sugar Plum Fairy from The Nutcracker. But in Yuri Possokhov's The Miraculous Mandarin, a tabloid-like tale of corruption and cruelty, she played a chillingly manipulative seductress who lures men into the clutches of three street thugs. Dressed in leather shorts, a bra and corset, she was largely without mercy. And from the moment she emerged from the glass box that was her prison-like home—moving with angular, acrobatic choreography that seemed to turn her legs into daggers—it was clear she had nailed this enigmatic siren, even suggesting a hint of vulnerability and loneliness. The 40-minute marathon of a work not only served as a showcase for Assucena's superb technique, but also revealed her impressive dramatic skills. "Amanda has a natural instinct for music and theater, and a dramatic sense that can convey any story," says Joffrey's artistic director Ashley Wheater. "She has shown herself to be remarkably mature as a person and an artist, and she's fearless in taking on demanding roles and technical challenges." Add to this the fact that Assucena has a beautifully proportioned body and an innate musicality and it's easy to understand why the 23-year-old has enjoyed such a rapid-fire rise at the Joffrey. Naturally confident, yet completely modest, Assucena developed an early passion for the stage while growing up in Rio de Janeiro, Brazil. Her parents (her father is an engineer and her mother is an architect who shifted to the business side of the profession) began taking her to opera and symphony concerts as young as 3 years old. "Classical music has always been one of the main reasons I love to dance," she says. Assucena, who has an older brother and a younger sister, took gymnastics classes as a child, but by 8 she had switched to ballet. She studied first at the Centro de Dança Rio and then, at age 12, entered the official school of Theatro Municipal do Rio de Janeiro. When she was 10, her teacher Hortencia Mollo suggested she audition for the Harid Conservatory in Boca Raton, Florida. It was an appealing idea. "I'd always felt like I'd been born in the wrong country," Assucena confesses with a laugh. "In Brazil there's not as much support of the arts." They started working towards this goal, but Mollo passed away when Assucena was 11. Another teacher, Silvana Andrade, worked with her instead and helped her make an audition tape. A promising student: Assucena and Cavan Conely performing "Le Corsaire" at the Harid Conservatory. Photo by Alex Srb, Courtesy Harid. Although she was thousands of miles from home, Assucena adapted very quickly to living in Harid's dorm and being surrounded by other dancers. "After a pretty strict upbringing in Brazil, I really enjoyed having my freedom," she says. "And I knew what I was doing there, because everyone's goal at Harid is to become a professional dancer." As she neared high school graduation, she auditioned for the Joffrey Academy of Dance Trainee Program and was offered a spot. "My training was in the very structured Vaganova technique," says Assucena. "But when I took a class for the Joffrey's program I really enjoyed it, because in addition to all the artistry there was such a sense of free movement. I love having a strong basic technique, but experiencing the fluidity of movement allowed me to really enjoy my dancing." Harid Conservatory director Gordon Wright agrees that the company was a good fit. As a student, "she was physically gifted, technically powerful for her age, and unusually versatile in her movement abilities," he says. "These attributes, which only became more impressive with time and training, made her, in my mind, the perfect Joffrey dancer." Once Assucena was in Chicago, Wheater often came to watch school performances and class. "From the time she stepped into our Academy, we could all see her talent and potential," he says. After one year, he promoted her into the main company. The first ballet she learned was Alexander Ekman's Episode 31, an absurdist performance-art piece. "It was a shock," she admits, "and I felt really overwhelmed." But as usual, she adjusted quickly. Before she knew it, she was cast as the Sugar Plum Fairy in Robert Joffrey's Nutcracker, at the tender age of 19. Assucena in Sir Frederick Ashton's "Cinderella." Photo by Cheryl Mann, Courtesy Joffrey Ballet. But her real breakthrough came a few months later, with Polish choreographer Krzysztof Pastor's Romeo and Juliet. 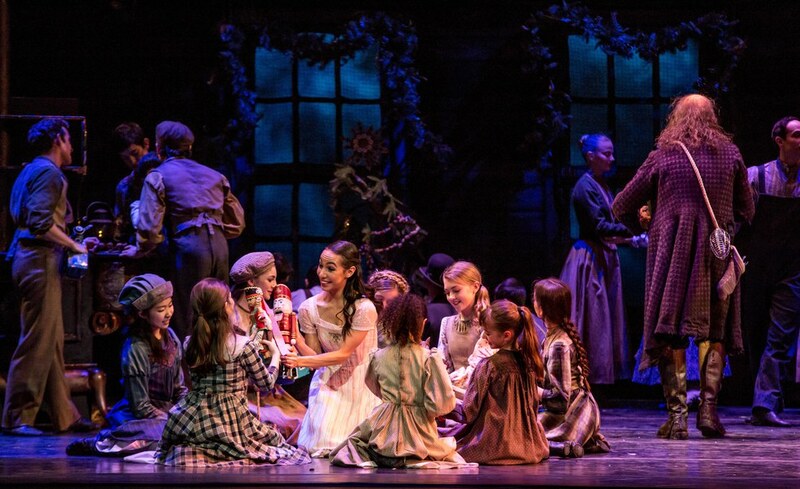 Pastor had come to Chicago to watch company class and Nutcracker rehearsals before he cast the ballet. Assucena recalls: "One day my friend Fernando Duarte came over to me and said, 'It's up on the board. You are learning Juliet.' I couldn't believe it." Her initial excitement turned to nerves once she had her first rehearsal. "I saw all these beautiful experienced dancers in the studio with me and thought, This is serious. I have to deliver," she says. "Being a first-year company member learning a principal role, I also had to learn how to shut out some negativity." Juliet, which she reprised last season, now holds a special place in her heart, and she credits Pastor with "allowing you to be yourself, and to be free, so all the Juliets in the company are different." Assucena has quickly stocked up an impressive repertoire. (She credits the fact that the company operates without the traditional ranking system as one reason why she's been able to move into challenging roles so quickly.) In 2016 she danced the title role in Sir Frederick Ashton's fiendishly difficult Cinderella ("I really enjoyed the challenge," she says), and she was first cast as Marie in Christopher Wheeldon's world premiere production of The Nutcracker last winter. Assucena as Marie in Christopher Wheeldon's "The Nutcracker." Photo by Cheryl Mann,Courtesy Joffrey Ballet. She's increasingly comfortable with modern movement, too, and says her role as the "crying girl" in Wayne McGregor's Infra is now one of her favorites. She also admires choreographers John Neumeier (who staged Sylvia for the Joffrey) and Justin Peck, who set his Year of the Rabbit on the company last February. A self-described homebody, Assucena relaxes by curling up with her cat and listening to every kind of music. As for hobbies? "I'm glad I'm good at dancing because I'm not good at much of anything else," she jokes. She need not worry. In addition to rehearsals for Neumeier's Orphée et Eurydice (a Joffrey and Lyric Opera of Chicago collaboration to debut in September), the company is planning a production of Giselle for October. No word about casting yet, but Assucena describes it as her "dream role."